Everyone's favorite, mysterious birds are back, in their very own feature film! THE PENGUINS OF MADAGASCAR hits theaters this Fall with an all-star voice cast that includes: Tom McGrath, Chris Miller, Chris Knights, John Malkovich, Benedict Cumberbatch, Ken Jeong, Annett Mahendru, Peter Stormare. Check out the brand new clip, official movie poster, and official film synopsis below. 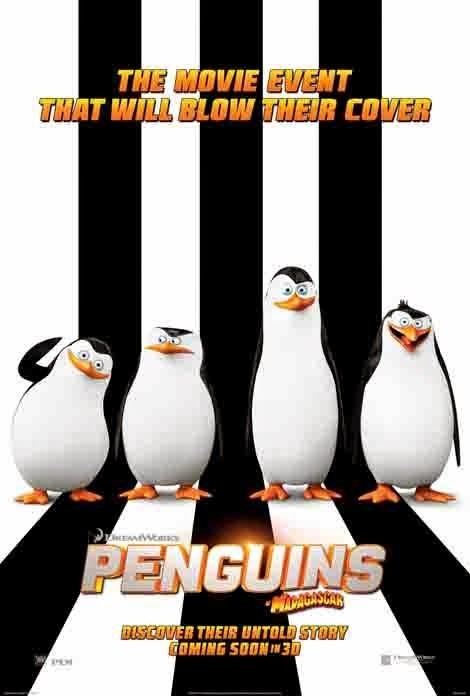 THE PENGUINS OF MADAGASCAR hits theaters nationwide on November 26, 2014!